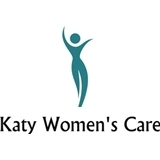 Katy Women's Care (Katy) - Book Appointment Online! Since 1991, Katy Women's Care has been offering patients convenient, high-quality medical care and has balanced cutting-edge medicine with tried and true experience. They strive to be a leader in innovative medical practices while building genuine, caring relationships with their patients. As an added convenience to patients, Katy Women's Care has online services where patients can sign up for an online account, to gain access to services such as online appointment scheduling, medication renewal requests, and secure messaging to the staff. Dr. Lin is an amazing physician who listens to your concerns and is proactive without ordering unnecessary tests or prescribing unnecessary medications. She is extremely intelligent and still maintains a mutual respect for her patients. Dr. Lin is the best doctor I have ever had (ob/gyn or otherwise). She has seen me through 2 pregnancies and is genuinely interested in my health and family. This was my first time booking through zoc doc. I did so because I had insurance information that needed updated and everything was already updated when I checked in. I arrived for my appointment early and was seen right on time. Great staff and phenomenal doctor. I felt very comfortable talking with Dr. Washington. Made me feel at ease throughout the whole visit.